2bias – Exclusive mix for bejbi.se. The second of our series of exclusive mixes..
Click ”see the rest of this entry” to read more about 2bias and to download the mix. 10 km from Stockholm, Uppsala to be more accurate, is where Tobias Johansson alias “True North/2BIAS” has his studio and home. From an early age, the main interest was music and when the release of the Prodigy’s “Everybody in the Place” hit MTV amongst other media, music became his destiny. The DJing come around 1998 where he was playing at local clubs, excellent technical skills and playing with great accuracy shortly people gave him a good reputation and massive support. Other great offers come around and soon after entering the scene he found himself to be a signed DJ for EMA Telstar DJ agency. To be a signed DJ was a goal and happy was just not enough to describe the feeling but the happiness was not long lasting, when becoming an artist for EMA Tobias got more and more asked to play commercial hits and mainstream club music which almost resulted in that he gave up the whole DJ career. For several years, thru relationships, jobs and average life a flame was kept alive by producing music, first it was FL Studio, but it went fast to advance to Ableton, which he have used as the core in his productions since 2007. The past 3 years Tobias have been very productive and have a whole library of unreleased material with the sound of Tech and Uplifting trance, and now even the DJing is back on track. 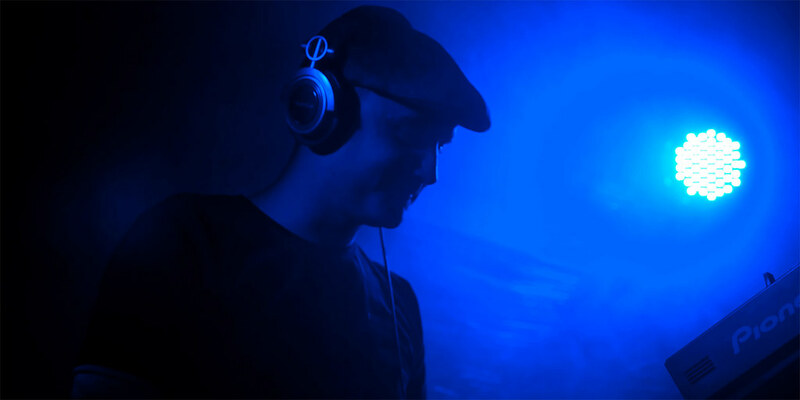 In addition to this Tobias joined forces with Future Sound Of Sweden and from late January 2010 he is also a FSOS resident DJ and a key member of the music production group. Stay tuned in tuned with Tobias music for the future have a lot to bring, as a DJ, a Producer and Live Performer! Now he´s the second one out for a series of exclusive mixes recorded for bejbi.se by our favorite dj´s, both well known, and unknown, that we will publish once a week untill we run dry. Download 2bias´s Exclusive mix here (right click and save as) or listen to it live on Soundcloud or just press play below here. Read more about 2bias and listen to his mixes on waxdj.com and on soundcloud.com/tobias-j. 3 Responses to " 2bias – Bejbi.se exclusive mix "